A fun and funky gift for the little super hero in your life. 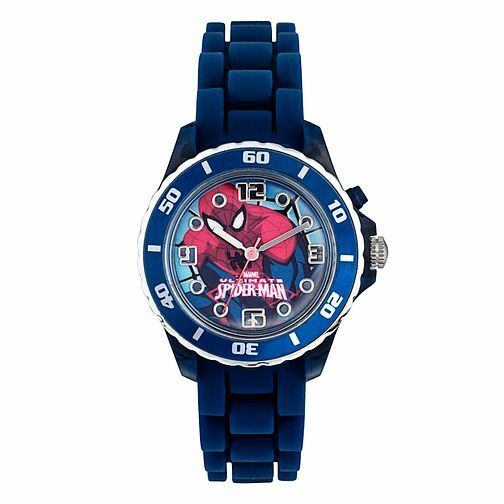 This bold blue silicone strap watch features a flashing Spiderman character dial to make time telling engaging. Spiderman Children's Flashing Blue Strap Watch is rated 2.0 out of 5 by 1.